In 1934 the RSL launched a fundraising campaign selling stars in the Memorial’s Great Dome to raise money to finish building the Memorial. The people of NSW raised £11, 868. The public again has an another opportunity to support NSW’s principal memorial and honour the Anzac Legacy. 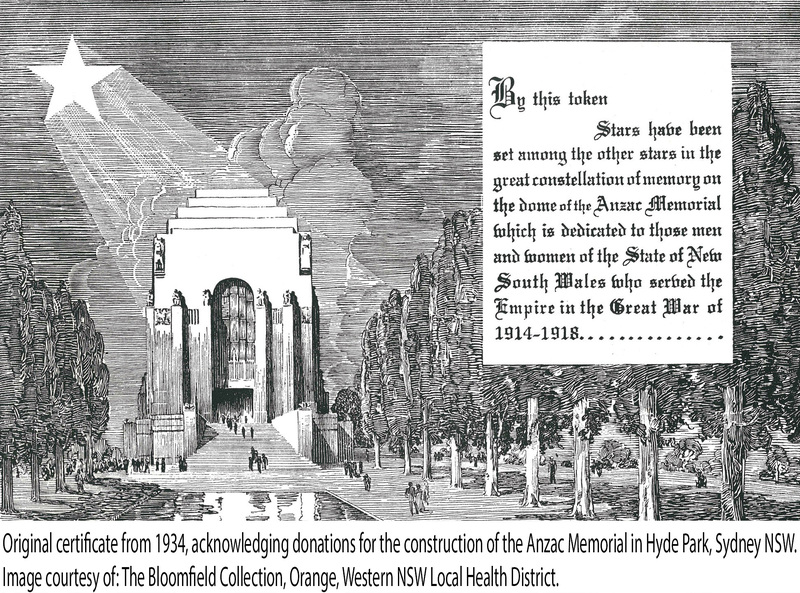 The Anzac Memorial Trustees’ online Constellation of Honour and Memory campaign is raising funds for future exhibitions and education programs. The Trust wants to ensure the Memorial is able to continue to play its vital role in telling the stories and sharing the history of NSW's involvement in military operations long into the future. Stars in a 360º digital render of the Memorial's Hall of Memory are being sold for $100. Purchasers are able to tag their star and leave a message in memory of a veteran . These personal tributes are displayed on the Constellation of Honour and Memory. Buy a virtual star in the Anzac Memorial’s Online Constellation of Honour and Memory for $100 and leave a message in memory of a veteran. Your support will contribute to the Anzac legacy and the education of future generations. Note: there is no limit on the number of stars you can buy.